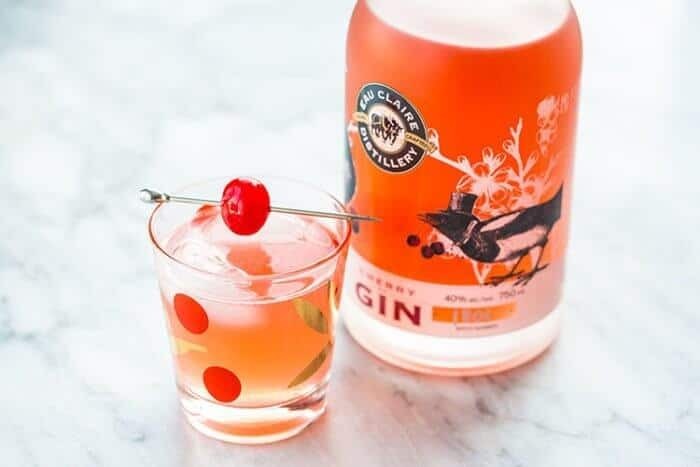 A sweet variation on the traditional Gin Rickey, this Cherry Gin Rickey cocktail takes this cocktail to the next level! If you caught that there are magpie’s on the bottle, then you got it! 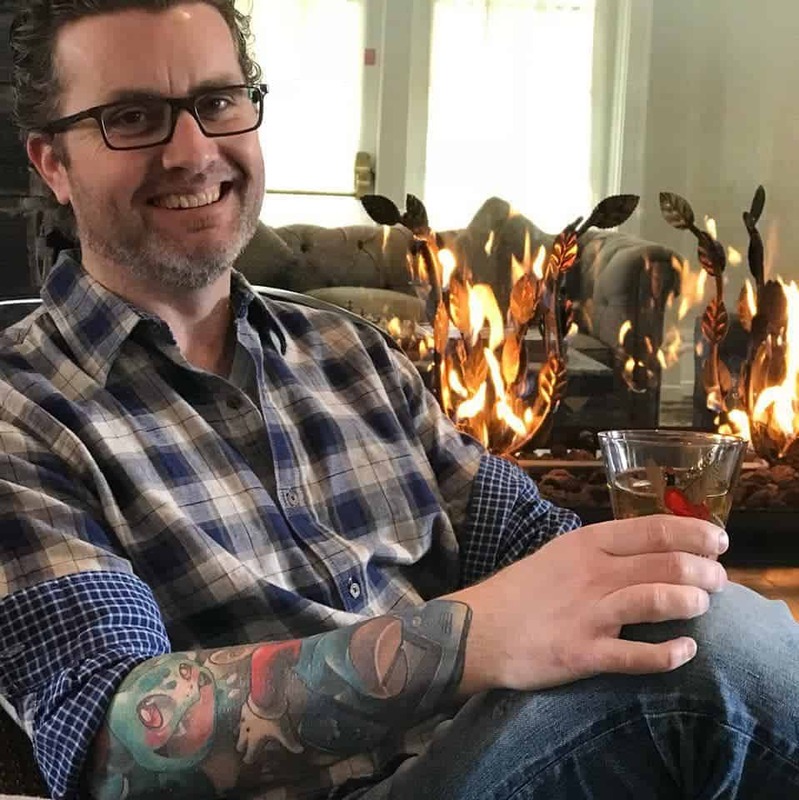 The Rickey was originally made with bourbon and was created in Washington, D.C. at Shoomaker’s bar by then bartender, George A. Williamson in the late 1800s. The name came from his collaboration with Colonel Joe Rickey. A few years later, it was made with Gin and became the hugely popular Gin Rickey cocktail that it remains today. Fill a 10-ounce Collins glass with ice cubes. Pour the lime juice into the glass, along with the gin. Top off the glass with club soda and garnish with a lime wedge. 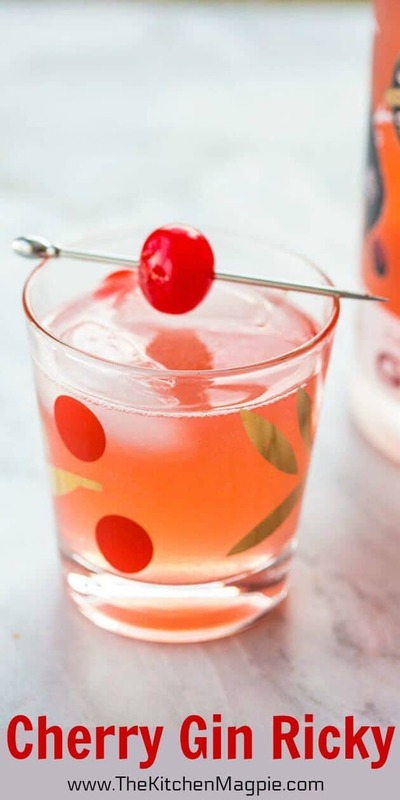 The recipe I’ve used for this cherry gin rickey cocktail is a slightly modified version of the original. This one uses Lime cordial and Lime Juice. If, however, you want to remain true to the original, use the recipe above. What is especially nice about using Cherry Gin is not just the variation in colour but a variation in taste, it makes for some great sipping! I do believe we have a new favourite gin in the house! Pin This Recipe Photo To Your Cocktails Board and Remember to FOLLOW ME ON PINTEREST! 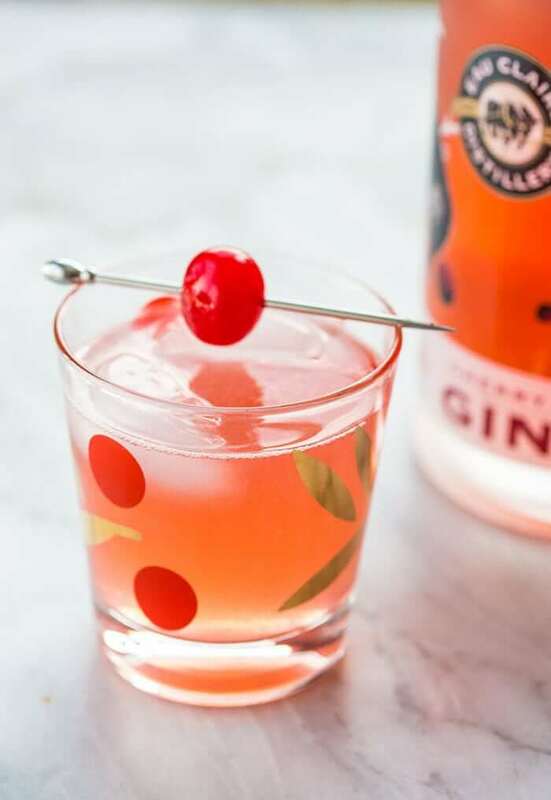 A sweet variation on the traditional Gin Rickey, this Cherry Gin Rickey cocktail takes the classic gin cocktail to the next level! Combine the ingredients with ice in a Boston shaker. Shake until the outside of the shaker is cold to the touch. Pour into a glass and top with club soda. Add ice if desired.